“Maki Kudaka described a major case where she was hired by a San Diego man, who was paying $10,000 each month in alimony to his former wife, who moved to nearby La Jolla. Investigation showed that she was spending time farther north in Orange County with a man who lived there. ‘This guy would be at her house for a while and then she’d be at his,’ Kudaka said. Online PR News – 12-November-2015 – Orange County, California – Infidelity is becoming more prevalent, prompting a spike in cheating spouse investigations. According to a recent survey on infidelity, 92% of participants admitted they would be unfaithful if they knew they wouldn’t get caught. Kudaka Investigations is a woman-owned private investigation agency based in Orange County, California. The firm specializes in discreet, unnoticed undercover surveillance for infidelity cases in Orange County, San Diego, Los Angeles and Riverside. Services include obtaining undercover photographic and video evidence along with written reports documenting suspicious behavior and/or evidence of actual cheating by a spouse, partner, husband, wife, boyfriend or girlfriend. The Ashley Madison online dating service, whose slogan is “Life is short, Have an affair,” recently reported a massive leak of subscriber personal data including emails, names, home addresses and more. Understandably, publicizing this type of personal information is generating a surge of inquiries to private infidelity investigators. From Arnold Schwarzenegger to Tiger Woods to the new Batman Ben Affleck, it seems as if individuals, regardless of their power or reputation, can’t seem to resist the temptation to cheat on a trusting spouse. Some people may decide that they would rather not know if their partner is having an affair. Others must know for their own peace of mind. Still others want pictures and physical evidence of the affair to use as leverage in potential negotiations. The last two types of people are the ones who hire well-trained, experienced private investigators to protect their interests. In criminal defense investigations, Kudaka Investigations owner Maki Kudaka, finds that her clients appreciate getting to the truth, good or bad. “Instead of continually not knowing, not being able to concentrate on life or work, my clients are relieved to finally have the facts. Now they can move on, reconcile, or seek an attorney’s further advice,” she says. Since the private detective industry is male dominated, Kudaka Investigations’ female cheating spouse investigators provide a distinct advantage. Whether the surveillance target is a man or a woman, a female undercover investigator is better able to “blend in” to the subject’s surroundings without being noticed. Kudaka Investigations’ infidelity detectives are specially trained in “sub-rosa” or undercover techniques that may involve observing, approaching or even befriending the subject in order to gain direct inside knowledge and determine the truth. Statistics say that 85% of women who feel their significant other is cheating are likely correct. While 50% of men who feel their partner is cheating are probably right. Unfortunately, the need for a cheating spouse investigator has become far too common. • Working late hours and not answering a partner’s calls. • Locking cell phones or using secret passcodes. • Lack of intimacy and less interest in spending time with family. • Sudden interest and obsession with appearance, shopping for new clothes or working out more often. The list goes on. Relying on instinct, a spouse or partner may finally decide that they need answers to the difficult infidelity questions, to know where their partner goes, what they do and with whom. These are the types of questions that Kudaka Investigations detectives are trained to answer. Kudaka Investigations professional associations also include PICA (Professional Investigators of California), DIA (California Defense Investigators Association), and NDIA (National Defender Investigator Association). Kudaka Investigations investigators are extremely results driven. When a client contacts Kudaka Investigations about a possible infidelity issue, first information is gathered about the partner’s suspicious pattern of behavior. To save time and cost, next a full background check on all subjects is conducted to get a thorough knowledge and understanding of the parties involved. Often this background investigation quickly yields important clues as to what may be actually occurring. Once a preliminary review is completed, a surveillance plan is mapped out. Investigators do not sit idle in vehicles waiting for evidence to appear. They take a proactive approach to “go and get” the facts so that the inquiring spouse receives the answers they need as soon as possible for peace of mind. To accomplish all of this, Kudaka Investigations utilizes advanced investigative practices, covert detection techniques and hi-tech equipment to uncover and document evidence the client is seeking. At the conclusion of an investigation clients are provided with detailed written reports outlining the course of events during the investigation. 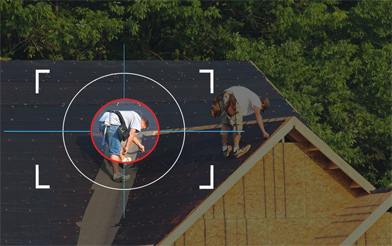 Compelling photographic and video evidence is also delivered to substantiate written findings. Be the first to know, not the last to find out. Ask questions, get answers. Call (949) 874-4148 or request a FREE confidential initial consultation. Kudaka Investigations is a licensed Private Investigations Agency in California, CA PI License #28058. Kudaka Investigations’ subtle, yet direct approach uncovers key evidence that provides attorneys with a competitive advantage in court. Kudaka Investigations specializes in local felony criminal defense investigations in Orange County and Irvine. We help attorneys convince the Court there is not a sufficient amount of evidence to justify holding the defendant responsible for the allegations. Online PR News – 21-January-2015 – Orange County, CA – Unlike the hardboiled “private eyes” from mystery novels or film noir, Kudaka Investigations‘ female investigators take a softer, non-threatening approach, yet are consistently producing hard results for their attorney clients. 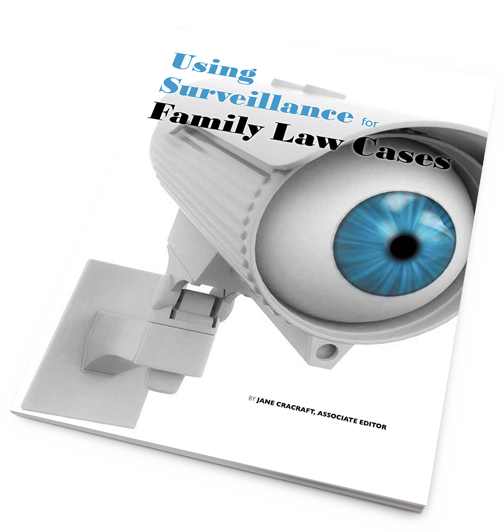 The firm specializes in surveillance and criminal defense cases including sexual assault and domestic violence. By nature, these types of criminal cases are extremely sensitive because the majority of victims and also witnesses are women. Often, these victims or witnesses are more comfortable discussing the case with another woman. This may be why PI Magazine estimates that the number of female private investigators is on the rise. Currently, more than 15% of the approximate 60,000 private investigators in the US are women. A female undercover investigator conducting surveillance on an infidelity case for example, is able to “blend in” more discreetly to get key photographic or video evidence of a cheating spouse. The first female private detective, Kate Warne was hired by the Pinkerton Detective Agency and played a key role in foiling the assassination attempt of President-elect Abraham Lincoln in 1861. The term “private eye” actually comes from the distinctive eye in the Pinkerton logo with the tagline, “We never sleep” as Pinkerton’s competitive advantage. Ms. Kudaka was recently elected by her peers as Orange District Governor of CALI, the California Association of Licensed Investigators, the largest and the most prestigious private investigator association in the world, with over 1,500 members worldwide. Kudaka Investigations is a sponsor and member of both NOCBA, the North Orange County Bar Association and NHBA, the Newport Harbor Bar Association. Ms. Kudaka is also an active member of SOCBA (South Orange County Bar Association), WOCBA (West Orange County Bar Association), and OCWLA (Orange County Women Lawyers Association). Kudaka Investigations offers a free initial consultation.